Homes For Sale in Costa Rica From $500,000 - $1,000,000. Bargain home with garden in Santa Ana gated community for sale. US$499,000. Tremendously reduced now to ONLY US$519,000! 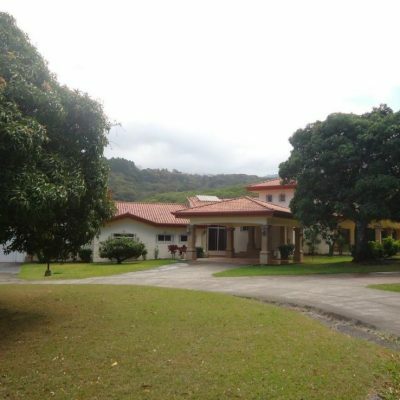 Magnificent luxury home, only minutes from Forum and all the business centers in Santa Ana, this magnificent colonial home on almost 1/2 an acre will be an incredible purchase at this price. Costa Rica Condo Prices Comparison Report 2016. Northwest Guanacaste. Things have really picked up in 2016! Land prices are down between 20-30% and although most condo prices are generally stable now, there are a few attractive fire sale properties to be had by the opportunistic real estate investor. Villa Calypso, a beautiful Costa Rica home tucked in the hills of Playa Panama in the private development of Vistas Del Pacifico. Amazing Deals on Lake Arenal Hotel and B&B Properties For Sale With Room For Expansion US$795,000. If you’ve ever thought of living the good life as a hotel or BnB owner, now is the time to swoop in and grab one of these great properties around Lake Arenal. Grasslands, hills and rich soil for agriculture. Excellent for resorts, tourist projects, hotel, reforestation or build a retirement paradise. Also the frontage of the property 184 meters long (603 ft). Clean water from an internal creek and a waterfall. Spacious 4 Bedroom Luxury Estate Style Home For Sale in Roca Verde, Atenas With Fabulous Views and Infinity Swimming Pool US$695,000. Offering over 500m2 (5,400 s.f.) of construction, on a 7,000 m2 (1.75 acre) lot, with great views of the Central Valley, including San Jose. The Mirador del Mar is an exclusive luxury hotel consisting of 10 rooms and an owner’s or manager’s suite on the third floor with it’s own kitchen. This Oceanview Residence features 3 Bedrooms, 2.5 Baths, 3600 SF and has a private Infinity edge Pool, a Great Room as well as a two-Car Garage. The home sits on a 1.25 acre lot and is sold fully furnished and turn-key! This beautiful and uniquely styled Escazu home for sale is located within easy walking distance of practically everything you could wish for in Los Laureles. It’s a comfortable and classy home in an very exclusive and elegant area. Enjoy a spectacular ocean view vista, while relaxing in a very private, natural setting, far above the world below. Stunning Atenas Estate Home For Sale US$880,000. Villa Mariposa is located less than a 10 minutes drive from downtown Atenas, Costa Rica. Located in a small gated community, atop a hill with 16,000+ m2 of land (4 acres +/-), you will instantly feel on top of the world. Views stretch from the Central Valley and its 4 volcanos (Poas, Barva, Turrialba, and Irazu), towards Grecia, and back to Atenas and the Nicoya Peninsula. Living in Tamarindo, Costa Rica – Free video with Terri Lynn Carlile & Alex Bejarano from Texarkana, Texas. Living here in Costa Rica is amazing and we have a lot of amazing future plans. Not only is our family starting here in Costa Rica but also we are in the process of building a church with our church family Iglesias Casa Vida and it’s wonderful because it’s right down the road. Beach & Club Resort Home For Sale in Reserva Conchal With Guest House US$675,000. Best value deal in this luxury resort. Llama del Bosque 33: This beautiful 3 bedroom, 2.5 bath luxury home plus detached 1 Bedroom, 1 Bath guest house is located in the exclusive Reserva Conchal Golf & Beach Resort.